Maelo Maldonado began his study of karate as a teenager in Puerto Rico. He moved to the States to go to college at Purdue where he studied landscape architecture. He continues his karate study under Sensei Sugiyama. He holds a third degree black belt (San-dan) in Traditional Karate and actively competes at the international, national and regional level. He is also Director of the Central Region of the USA Traditional Fudo-Shotokan Karate-Do Federation. 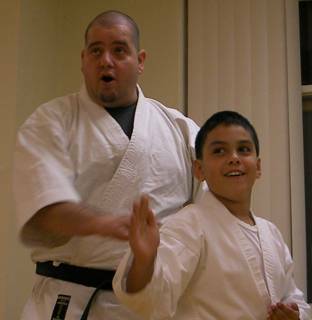 Sensei Maelo has been teaching children and adults at JKA Chicago for over ten years and has also instructed at the Northwestern University and University of Chicago Karate Clubs. 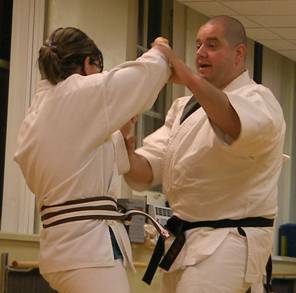 He also was a US team member competing in Kata, Fukugo and Team Kumite. Sensei Maldonado holds a degree in Landscape Architecture and is currently employed at a major firm in the City of Chicago.